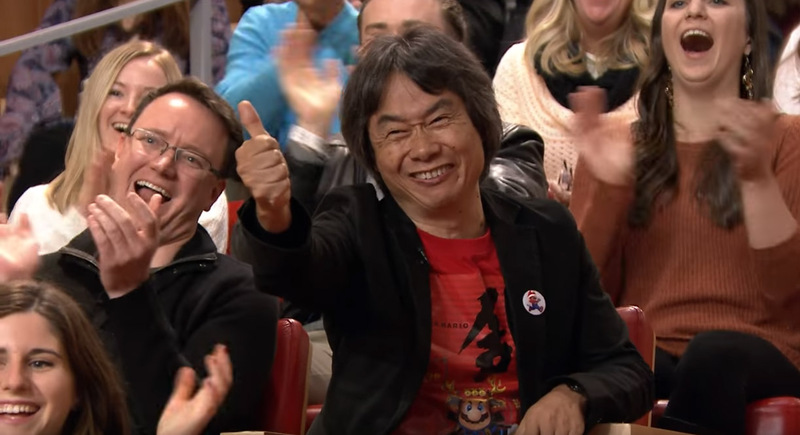 Miyamoto-san is so happy to be here! 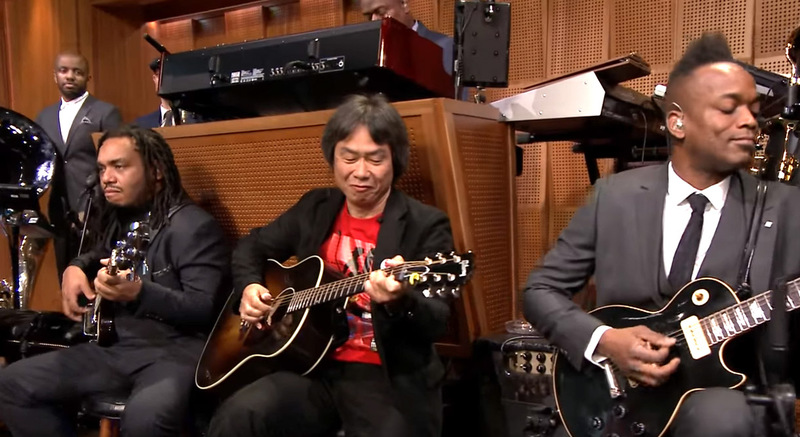 But the best surprise was yet to come: Shigeru Miyamoto himself sat in with The Roots and they all played the Super Mario Bros. overworld theme song together! 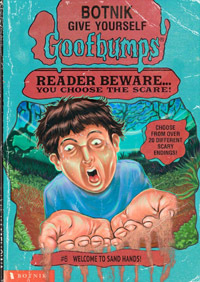 It was something to behold—you can behold it right here! Sometimes good things happen. Isn’t that right, Miyamoto-san? Categories: TV, Video Games, Videos. 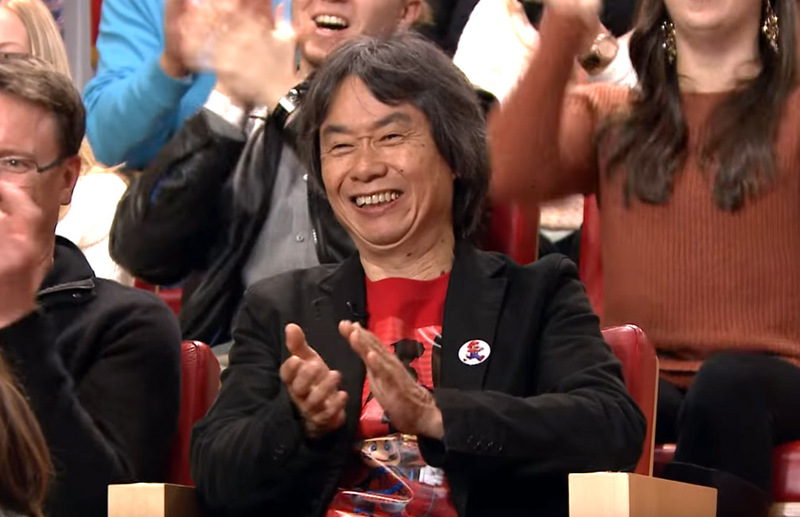 Tags: Jimmy Fallon, Mario, Reggie Fils-Aime, Shigeru Miyamoto, Super Mario Run, The Legend of Zelda, The Roots, The Tonight Show. Posted by Christopher Grant Harris at 10:02 am.